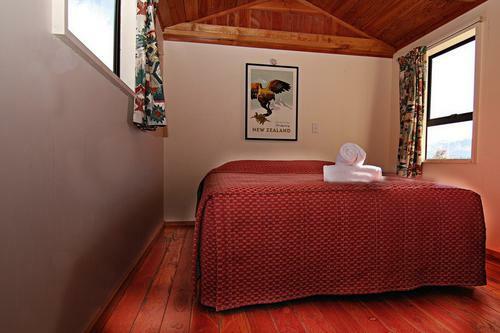 Our cabins are great budget option and are setup with a queen bed. Our budget cabin also has an optional single for a third person. Cabins are a great option if you are seeking an economical step up from camping. Use of our on-site facilities are included in the price such as free unlimited Wifi, communal lounge, kitchens, bathrooms, etc. This cabin is located approximately 60m from the shared facilities. View our park map for cabin location. The quality of this accommodation is very budget with plans to be re-built. Although clean & tidy, the building is old and is not of a quality that reflects the appearance or standards of our other cabins. 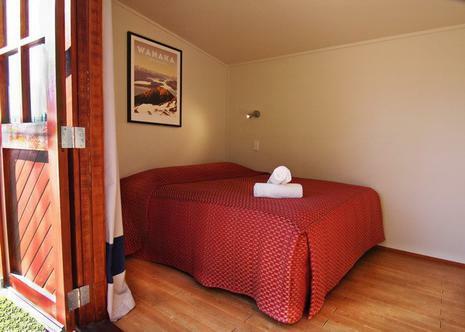 The cabin is clean with a heater & jug & has an electric blanket on each bed.